Despite the threat of automation and competition from other countries, the Philippines BPO (business process outsourcing) industry continues to grow in 2019. Now worth an estimated US$27 billion and 9% of GDP, BPO employs over a million Filipinos performing a range of contact centre, marketing and back office tasks. Last year, contact centre work was the biggest contributor fuelling the Philippines’ 5% growth and global market leadership for outsourced business services. When US and Australian companies first began outsourcing in the mid-1990s, offshoring of functions like the contact centre was little more than a way to provide an equivalent service at a lower cost. However the motivation for outsourcing has become more complex, as customer experience has become a key differentiator in competitive and commoditised sectors such as telecommunications, energy and insurance. BPO vendors have had to up their games and offer something more than just cost reduction. From analytics to AI, the Philippines BPO industry is moving up the value chain to meet the changing demands of its clients, and it’s possible to find a BPO partner for every possible need. One of the major objections Australian consumers raise about offshore customer service is the difficulty of being able to understand a strong accent and, in return, make oneself understood. The Philippines’ unique history – as a Spanish and then US colony – has given it a culture that is much closer to that of the developed Western world than that of its neighbours or competitors in the global outsourcing industry such as India, Indonesia, and China. In a recent study by Global English, Filipinos scored 7.1 for English proficiency, easily beating India on 5.5 and China on 4.4. Filipinos learn English from a young age, English-speaking TV shows and movies are generally not dubbed or subtitled, and most of the country’s highly-educated workforce speak English daily as it is the country’s language of business. It means that the average Filipino speaks an American-style English with a neutral accent and has a good understanding of globally recognised idioms. Both factors are crucial to being able to hold natural conversations with native English-speaking customers in western countries such as Australia, the UK, and the United States. The literacy rate in the Philippines is one of the highest in the world, at around 97%. Every year around half a million graduates join the world’s third largest English-speaking workforce. Like their counterparts in Mumbai and other high-tech hubs in the developing world, Filipino staff are extremely IT savvy. As the BPO industry has established itself and become a vital part of the economy, jobs in the sector are now well thought of and much sought after. Local universities offer courses which equip their graduates to do the types of tasks that are being offshored. 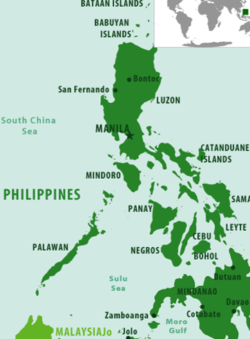 It is not just contact centre services that are offshored to the Philippines. Other services include data entry, accounting, animation, medical transcription, software development and digital marketing. The sheer size of the Philippines’ BPO industry gives it a breadth and depth of experience that few other destinations compete with. After 30 years spent developing its BPO industry, the Philippines boasts infrastructure, technology, and government support second to none. The Philippines entered the global outsourcing industry somewhat later than the Indian cities with which it now competes. Learning from their successes and failures, Filipino cities were able to build world-class infrastructure – highways, schools and colleges, utilities and communications – from scratch. The country’s cities are dotted with high-tech hubs that are all connected by world-class transportation and telecommunications links. Additionally, the government has been keen to attract outsourcing providers and their clients and can rightly take a lot of credit for the boom in the outsourcing industry. It has long made available financial incentives including tax holidays, duty waivers, reduced taxes, training and education grants, and other awards for companies setting up in the Philippines. This has created a virtuous circle of growth, where every new outsourcer and client helps create the environment to attract more. Finally, to do business in a global and digitised world, BPOs need access to leading technology solutions. Partnering with the world’s biggest technology giants, including Microsoft, Philippines-based BPOs have been at the forefront of the use of technologies like IP telephony, social media, webchat, and video chat for customer interaction. Even though the Philippines today offers so much more than just the ability to reduce costs, it is still a major reason that companies outsource offshore. As a developing nation, the cost of living, doing business, and hiring people in the Philippines is a fraction of that in western countries. The Philippines is also very competitive even compared to its South East Asia neighbours. For example, the daily minimum wage is approximately US$10, which means companies can employ well-trained graduates in many fields for a monthly salary of around US$300. The salaries for IT professionals and developers as well as contact centre supervisors and managers are all a fraction of the cost to hire than their counterparts in Australia. While costs may rise in the future with living standards, they are unlikely to rise as quickly as they do in developed nations for some time yet. So, while some Australian companies will make a fanfare of moving some contact centre functions back onshore, many will continue to make use of the high skill levels, English proficiency, experience, and infrastructure the Philippines has to offer.